I love to read. Always have. Truth be told, I used to get carsick when I was younger if I didn't read...for most people, it's the opposite. There's something thrilling about absorbing the words on the pages and creating the scenes in your mind. 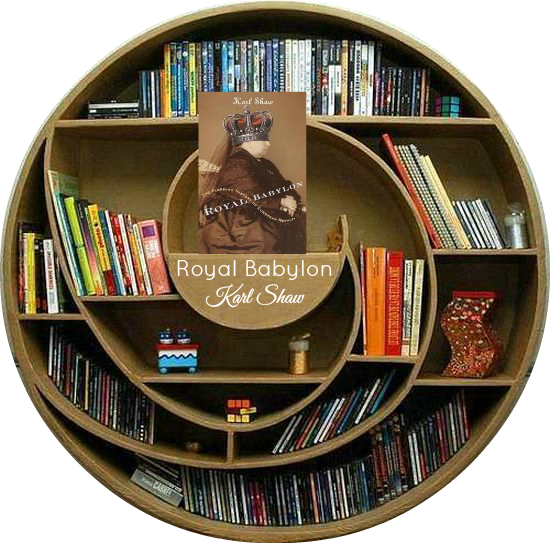 Right now I'm reading a book called Royal Babylon by Karl Shaw. It was a suggested read from my friend Kate of Hesson Haus. I'm about halfway through and I can't explain it any other way than describing it as a gossip column from the middle ages. The book details little known sordid facts about European Royals. It's really an interesting read! What have you been reading? Any good book suggestions you'd like to share?